In the war against our wildlife and habitat, there are other sub wars (tactics) taking place; such as the media and the manipulated science wars. It has long been recognized that he who controls the media, controls the minds, opinions and votes of the masses. As the internet exploded, providing the public with other avenues for news and information, such as independent news sites, blogs, and issue driven websites, science began to be more readily available to the public. Academic papers are in demand, quotes and statistics are routinely posted on forums and in emails, statistics graphically edited into images and postcards. No longer can the corporate owned mainstream media easily control the sheeple minds as they did decades ago. This same principle is enveloping our science communities, as science is being wielded in the media and policy arenas like light sabers in Star Wars. The running cynical comment is that you can buy/produce the science you need to validate any position. As a result, you can’t accept an academic paper at face value. It has become necessary to closely critique the science to make sure it is on the up and up. Looking at the conservation sciences, for example, independent and peer review panels have become necessary to evaluate reports that determine policy, such as delisting wolves – a very polarized subject in the western states. My favorite battle of late has become the controversial disease brucellosis, specifically the bacteria Brucella abortus, whose preferred hosts are the cattle, elk and bison. Brucellosis, originally spread to the Greater Yellowstone Area by livestock, became naturalized in the elk and bison populations; which continue to grow and acquire immunity. If exposed, an elk or bison’s blood can test positive for brucellosis antibodies, representing natural and acquired immunity from exposure to the disease, yet not be currently infected/infectious. There is no test, at this time, which differentiates between natural and acquired immunity and infection/infectious, without killing the animal. In addition, the science of genetics states, “Our results indicate that elk and cattle isolates are virtually identical genetically, differing by only one to two mutational steps. On the contrary, bison B. abortus differed from cattle and elk by 12-20 mutational steps.” – DNA Genotyping Suggests that Recent Brucellosis Outbreaks in the Greater Yellowstone Area Originated from Elk, 2009. Brucella abortus genetics are a factor in transmission, not the political assumption that one bovine species (bison), had to be the vector to another bovine species (cattle), instead of a cervid (elk). Wild bison are not the Typhoid Marys the ag/livestock interests and corporate owned media repeatedly portrays them as, with a scarlet B attached to their breast. In Montana, concerning wild bison and elk, these scientific facts are never quoted by Montana’s Department of Livestock or livestock interests. Rather the politicized and polarized fear mongering statements are promoted. Since 2008, these special interests now know it is the elk genotype that has been the source of some of the cattle infections (others are cattle isolates and cattle vaccine blooms in all 3 GYA states); as a result, that lethal machinery has been turning its sights to our wild elk populations with the same lethal brucellosis eradication goals they have employed with the bison, yet not releasing their choke hold over the wild Yellowstone National Park bison. This lack of scientific management of brucellosis in elk and bison of the Greater Yellowstone Area prompted a Petition for the National Academy of Sciences to conduct a scientific review of Wildlife Brucellosis in the Greater Yellowstone Area. The last review was conducted in 1998, with major scientific advancements occurring after that time, which could greatly aid in directing policy from the special interest political realm, into scientific wildlife management. The American Public are owed nothing less, in the stewardship, policies and management of our public trust resources, on behalf of this generation and future generations, than the knowledge and ethical principles of peer-reviewed science. We need petition signatures to advance the principle of scientific wildlife management in the federal and state policy arena, circumventing the controlled mainstream media campaign against our wild bison and elk. Recently, in response to my and others, public demands for ethical, responsible science to be utilized concerning wild bison conservation in Montana, as well as trying to deceptively lay the political foundation for the up coming April MT Fish, Wildlife & Parks Bison Working Group meeting in Lewistown, MT, an academic paper’s pre-publication abstract was promoted by the media nation wide, originating in Billings, Montana. “A government-funded experiment on diseased bison herds in Yellowstone National Park shows non-infected animals can be safely removed and used to start new herds, researchers from the U.S. Department of Agriculture and a wildlife group said Thursday.” This clearly makes it sound like science, right? The study: Feasibility of quarantine procedures for bison (Bison bison) calves from Yellowstone National Park for conservation of brucellosis-free bison, is primarily produced and funded by USDA APHIS, the main special interest with the brucellosis eradication goals of eliminating the naturalized livestock disease from all our wildlife in the Greater Yellowstone Area by various means. Some of their objectives include capture, test and slaughter; cattle vaccination and sterilization of the wildlife. The study begins by explaining the outdated InterAgency Bison Management Plan that forced agencies together with diametrically opposed mission statements – hence no wild bison allowed into Montana, even after nearly 15 years of this obstructed process. The study states the IBMP actions include, “…maintain a viable, free-ranging population of bison in YNP.” The IBMP actually states, “The management of bison under this plan will include actions to protect private property; actions to reduce the risk of transmission of brucellosis from bison to cattle; and, actions to maintain a viable, free-ranging population of Yellowstone bison. ” Big difference in those prepositions. The study is trying to affect the bison conservation of the Yellowstone National Park herds; the IBMP’s is in context to YNP bison that migrate into Montana. This quarantine feasibility study proposes the capture of bison calves (about 10 months of age) from the adult herd, putting them through repeated blood testings to remove all that test positive for antibodies to Brucella abortus, slaughtering the positives, vaccinating the negatives with the cattle vaccine RB51 at 18 months of age (tagging them, giving boosters later), and quarantining them on small acre parcels for 3 years. 1. The Yellowstone National Park bison are not livestock, they are wild, free-ranging bison. 2. The USDA APHIS agenda seeks to impose livestock management methods on these wild animals. 3. Slaughtering all wild bison that simply have positive antibody reactors, is removing the naturally evolving and acquired immunities from the wild bison population, interfering with the genetics of the species. 4. Removing calves from their herd, for this abominable quarantine process, will remove the social learned herd dynamics from this wild species – essentially, livestock domestication of wildlife. 5. Vaccination of wild bison, the science of which has stated does not prevent infection; is disputed; single shot vaccine showed no difference with non-vaccinated; commitment to booster vaccinations and long term programs would be necessary, at great cost and manpower hours with limited results; Bison vaccination, in an attempt to lower seroprevalence, will have no effect on reducing seroprevalence in the elk population currently the transmission risk vector to the cattle; efficacy of RB51 vaccine has not been tested in field conditions; and test and slaughter/vaccine programs are not efficient or socially acceptable management tools for wildlife. This quarantine study concludes with, “This study provided data that reinforce the testing protocol framework in the USDA APHIS brucellosis eradication uniform methods and rules. The ability to obtain brucellosis-free bison from exposed populations now gives herd managers, whose previous population control options were primarily limited to slaughter, an outlet to remove live bison from their herds. In the future, any entity, whether private, tribal, academic, or governmental with the intention of operating a facility to obtain brucellosis-free bison can use the methodology used in this study as a foundation to create a testing regimen applicable to their source population.” Of course it reinforced their protocols, it was designed to. This isn’t ethical, responsible science (remember the 0.0% – 0.3%? ); it is cherry picking science to, “reinforce the testing protocol framework in the USDA APHIS brucellosis eradication uniform methods and rules.” This is a blatant effort to impose USDA APHIS’ eradication of brucellosis in wildlife agenda; deceiving the public that they need such draconian methods if they are ever going to have a free-ranging wild bison population in Montana. Except, by the time USDA APHIS and Mt DOL gets through with them, they won’t be wild bison anymore, they will be USDA APHIS approved cattle! I don’t want to know where the beef is. I want to know where the wild bison and real science in our wildlife management is! Thanks for a very insightful article! 1. Is the “USDA/APHIS” that you refer to in the article one and the same as WILDLIFE SERVICES? 2. What is the final disposition of bison that are tested and removed? Apparently they are killed … but then what? 3. It sounds as if APHIS is attempting to develop a “cash cow” via this so-called scientific manipulation of the wild bison. Who, exactly, is benefitting from all of this? 1. APHIS is a division of USDA Marketing & Regulatory division – the marketing part of this is key, this isnt just about disease, but how to market it – hence the Brucellosis Class Free Status, nationally and internationally. Under APHIS are 3 divisions – Wildlife Services (wildlife control), Veterinary Services (disease control)and International Services (the international level marketing of disease. 2. The paper did not report what was done with the slaughtered bison, except to culture organs for brucellosis. To obtain that information, a FOIA would need to be done. This paper was just published March. 3. Brucellosis in wildlife is a major money maker for APHIS, with a whole self-sustaining industry built around it. Federal taypayer dollars are funneled through numerous channels for studies, programs, positions, facilities, etc. Directly APHIS benefits, then the trickle down effect occurs and other agencies and positions benefit, like the MT DOL, which receives APHIS money. The special interest livestock industry also benefits by removing forage competing ungulates from the landscape. Excellent post and it should be widely shared! We especially need scientists to emphasize the very unscientific nature of this situation and force the media to provide the full story, not the talking points of the special interests. This entire situation is a disaster for wild bison. The IBMP is nothing more than a sham cover of authority for reprehensible mistreatment of bison, and the APHIS’ approach to science/wildlife management is completely unaccountable to the public. The “vaccination program” as proposed by the quarantine study is inappropriate and unjustifiable. As Qannayahu rightly points out, there are two key facts that have yet to be acknowledged by policy makers: there has not been a single, proven case of brucellosis transmission from bison to cattle in the field; and the actual risk of transmission is vanishingly small – i.e., not even statistically significant. Those two facts essentially undercut the justification for the IBMP and the entire quarantine mentality. Yet contrived fear continues to guide policy in Yellowstone (as it does in so many areas of US politics). Instead of continuing to waste money and planning to destroy wild bison for the foreseeable future, the resources should be redirected to securing more territory for the bison of the Yellowstone area. It is long past time to get the APHIS and the Montana DOL out of the wildlife management business for good, get cattle out of the Yellowstone area immediately, completely revamp wildlife management (an oxymoron if ever there was one), and end the shameful and unnecessarily harsh treatment of wild bison. We need a vigorous pushback and soon! This is one of the most informative articles I’ve seen on the livestock industry’s view of science. But I suppose I’m biased. My background is in clinical microbiology and clinical biochemistry; I do not recognize wildlife management as a biological science. Thankyou very much. I feel a bit less ignorant, and have tons of questions. I was shocked at the frequency of bison testing positive in the risk analysis link. So, elk-to-cow transmission is what happens, but is it only thanks to proximity? “Brucella abortus genetics are a factor in transmission” might easily be taken as implying cows can’t get the bison “version” for genetic reasons, when genetics paper is merely showing association. Perhaps there is other evidence, but I worried there. I wasn’t sure what plan was being advocated – exporting bison would seem to require some safeguards, so isn’t it a question of just what they should be? On bison density in YNP, we’ve beaten the dead cow to a draw last go-round, in my non-expert and metaphor-mixing opinion. BTW, I am hoping we can get rid of this disease for good some day – none of these species deserve it, and it pricey just having it around. When I first got involved in the bison issue 10 years ago, the livestock industry was still routinely using the specter of undulant fever–the human form of brucellosis–as a threat (though it was historically tied to the consumption of raw milk back in pre-pasteurization days) and the media were duly reporting it without question. It has been a long slog just to get reporters to quit saying that “a high percentage of Yellowstone bison are infected” just because antibodies are present. I’ve contacted many of them, one (at a major MT newspaper) as recently as the past couple years. I pointed out that there is a big difference between exposure and infection, and his response to me was something like “Thanks, I suppose you’re right” yet he made no effort to correct the online edition. This was someone who has been reporting on the issue for years. So the “scientists” are cherry picking, and the reporters (some of them, anyhow) are lazy, not curious, inept, or worse; the citizens are uninformed, and the bison are dying. If only females transmit brucellosis through birthing materials, why have male bison been sent to slaughter? Why have *any* bison been sent to slaughter without blood tests for antibodies, imperfect as that measure is? Maybe because it hasn’t really been about brucellosis?…and why haven’t the watchdogs (the media) been asking these questions? Anyhoo, it’s good to see an easy-to-grasp exposure of the shoddy science behind this wildlife debacle. It’s a difficult issue to explain and to understand, and the industry has used that to its advantage. Some of what is taking place in Montana’s media is due to party politics. The governor of each GYA state – MT, WY & ID, is required by APHIS to sign on to a Brucellosis Management Plan and annual Memorandum of Understanding, in order to receive their brucellosis class free status. This BMP requires the wildlife agencies to follow suit regarding elk and bison – directed by the governors. Since Bullock is a democrat, those that dont want to upset the possibility of having him re-elected wont touch this. But this is very much a bi-partisan eradication effort with both MT republican govs Marc Rosicot and Judy Martz first signing on to agreements with APHIS, that forced Schweitzer and Bullock to follow suit. The public simply did not know about the agreements,or make the connections. In addition, since 2007 (that I have tracked it) each of our US senators and representatives (bipartisan) of the GYA states have all sponsored earmarks and appropriations specifically for eradication of brucellosis in wildlife. This money funnels through APHIS to the departments of livestock in MT and WY and the dept of ag in ID. Party politics do not rule this issue, just ag/livestock special interests. But the democrats dont want this to be pinned on the current democratic governor for this upcoming election. This is bipartisan special interests at work here. 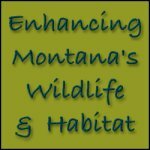 the Montana Supreme Court supported GYC efforts to expand bison habitat north of Yellowstone National Park into the Gardiner Basin. 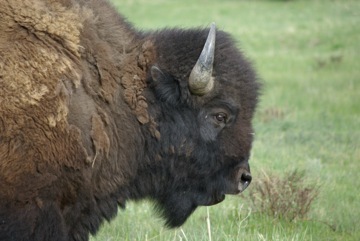 Our nation’s wild bison will now have access to naturally migrate north of the Park boundary. Brucellosis has been a “cash cow”, for everyone involved with this issue, and will continue to be so for the distant future! When the discussion turns to solutions, stopping the problem with understanding, and a step by step process to eliminate brucellosis from the GYA, then the back peddling begins!